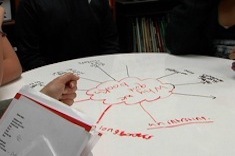 Franki Sibberson pulls together a group of fifth graders to explore writing mentors together. Franki Sibberson has worked for over 30 years as a teacher at different grade levels, school librarian, and literacy coach. Her writing and video work as a lead contributor for Choice Literacy keeps us updated on the latest and greatest books as well as practical “how-tos” on assessment, comprehension, word work, technology and more. 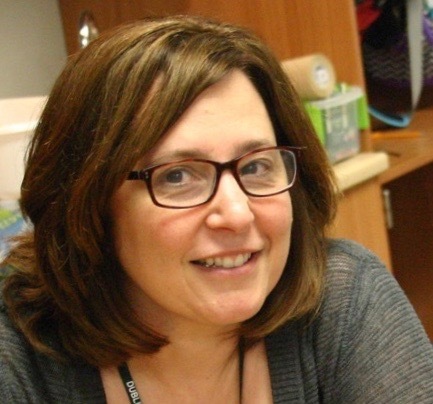 Franki is the co-author of many books and videos on teaching reading in the intermediate grades, including Beyond Leveled Books, Still Learning to Read, Day-to-Day Assessment in the Reading Workshop, and Digital Reading: What’s Essential in Grades 3-8. You can keep up with Franki on the popular blog she writes with Mary Lee Hahn, A Year of Reading. Franki is currently the president of NCTE. 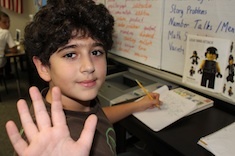 Franki Sibberson realizes there are some bad days in literacy workshops that hold no great life lessons for teachers and students, and that is okay. It’s not an invitation if students are required to accept it. Franki Sibberson explains how engagement depends upon true choice and lots of options in her fifth-grade classroom. Franki Sibberson discovers we allow students to assess what reading matters most to them, we can learn a remarkable amount. Franki Sibberson gives a group of boys a “lift a line” assignment to build their close reading skills. 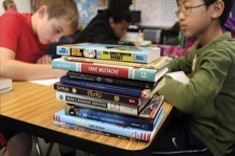 Franki Sibberson works with a small group of fourth graders who often abandon books. 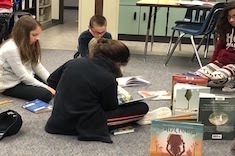 Franki Sibberson continues a discussion with a small group of students who often abandon books. This is the second installment in a two-part video series.